Are you a designer or photographer looking for the easiest way to build a portfolio website in WordPress? There are plenty of WordPress portfolio plugins that allow you to easily build beautiful portfolio websites. However, finding the perfect portfolio plugin can be difficult for beginners. In this article, we have hand-picked some of the best WordPress portfolio plugins for designers and photographers. Many WordPress portfolio themes come with built-in functionality to create a portfolio website. So why would anyone want to choose a plugin when themes can do the job? Themes in WordPress are only supposed to handle the visual appearance of your website. This includes, colors, styles, layouts, and presentation of your content. Plugins on the other hand are the proper way to add functionality to your WordPress site such as slider, contact form, etc. Adding a portfolio is a functionality and hence it needs to be added with a plugin. Using a portfolio theme ties your website with that theme. If you change it, then you will loose your portfolio data. While it will still be stored in your WordPress database, it will not be visible with the new theme. Recovering it to be used in a new theme can be very difficult. On the other hand, if you decide to use a plugin, then you are free to use it with any theme that you want. Having said that, let’s take a look some of the top WordPress portfolio plugins. Envira is a premium WordPress gallery plugin. It allows you to create beautiful image galleries and albums. 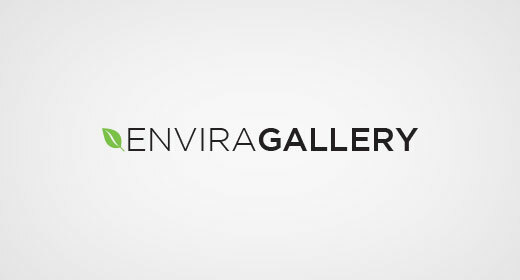 Already used by thousands, Envira Gallery is the best WordPress plugin for photographers and designers. Creating a portfolio with Envira Gallery is quite easy. Simply create galleries containing your portfolio items. Group galleries into Albums, and you are good to go. You can add your portfolio items anywhere on your WordPress site with the click of a button. For detailed instructions, take a look at our guide on how to add a portfolio to your WordPress site. Nimble Portfolio offers an easy way to add portfolio to your WordPress site. You can upload your images or other digital works by creating a new portfolio item. Portfolio items are a custom post type where you will need to set portfolio item photograph as featured image. Nimble also allows you to group different images into filters. The base Nimble Portfolio plugin is free and comes with limited skins. For more skins and features, you will need to purchase premium add-ons offered by the developer. WordPress portfolio plugin is another free portfolio plugin. It allows you to automatically generate thumbnails of websites you add to your portfolio using ShrinkTheWeb API. You can customize the appearance of portfolio items using custom CSS and HTML. You can group different portfolio items by adding them to Groups. Portfolio Gallery is a popular free WordPress portfolio plugin. It comes with different viewing and display options. It allows you to sort portfolio items into categories.You can also add multiple images/videos per project. Projects is a free WordPress portfolio plugin written by the folks behind WooCommerce. It is a simple and basic portfolio plugin. The plugin comes with a custom post type for projects. You can create as many projects as you want. Each project can have its own cover image, gallery, short and long description. One downside is that it does not open your images in lightbox. Clicking on each project loads the project page. Clicking on each image will again reload image as attachment page. Portfolio plugin simply allows you to create multiple portfolios with different projects in them. Each project can have its own cover image and gallery. It is a free plugin, but most its features are locked and available in a paid version. It only offers one layout with free version. It also uses its own user interface for creating portfolios, which is fast but does not match rest of the WordPress UI. NextGen is a popular WordPress plugin for creating image galleries. It can also be used to create your portfolio. You can create your image galleries and albums. You can also tag your gallery items and display your portfolio with lightbox popups. The free version of plugin comes with good balance of features and functionality. However, you will need the paid version to get support and more features. Portfolio by BestWebSoft is another popular choice for WordPress portfolio plugin. It can work for any kind of portfolio, but it is designed to focus on web development agencies. It has custom taxonomies for executioners and technologies. You can mention users who worked on a project as executioners and technologies used in that project. Custom Content Portfolio allows you to create a very basic portfolio. You can add your projects to categories and tags. It allows you to add project details. Like you can enter client info, project start and finish date, website, etc. For project images inside the project details, you will still need to add extra images. The featured image will be used as a cover image. You will also need to configure your theme, so that it displays the projects in a grid layout. That’s all we hope this article helped you find the best WordPress portfolio plugins for designers and photographers. You may also want to see our list of 41 best free photography themes for WordPress. Hey guys – a lot of these have been removed from the repository. Time for an update! Thank you for letting us know, we’ll certainly look into updating this article. Have you tutorial theme like w3school. I wanted for my site just planning and all related plugin. Thank you. WordPress is a great enterprise web content management services that caters to many small as well as large businesses with the rich functionalities it offers. The flexibility and ease of use makes WordPress a popular enterprise web content management system. The inbuilt framework, themes, modules and plugins make it easier for a developer to implement any complex scenario through an effortless dashboard. For websites developed to showcase gallery of images, I feel the best theme is Uncode which is an impressive, graphically polished and seamless, ambitious and bold, engaging and dynamic, deeply creative, feature rich and search engine optimized multipurpose website theme. It would be good to see this range of Plugins on demo for side-by-side comparison purposes. We use them on but are constantly on the lookout for something with more pizazz. However there’s nothing quite like taking the trouble to upgrade your Portfolio Plugin, only to find the old one was better. Seeing them side-by-side would be perfect!